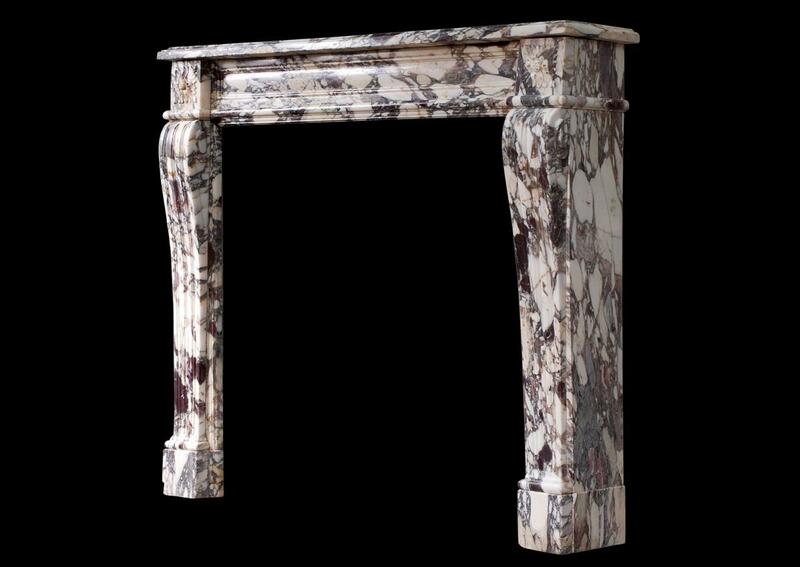 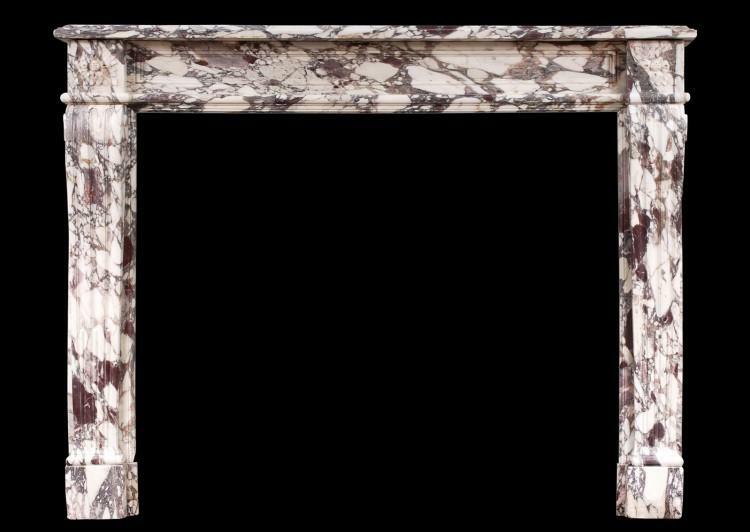 A mid 19th century French Louis XVI style fireplace in Breche Violette marble. 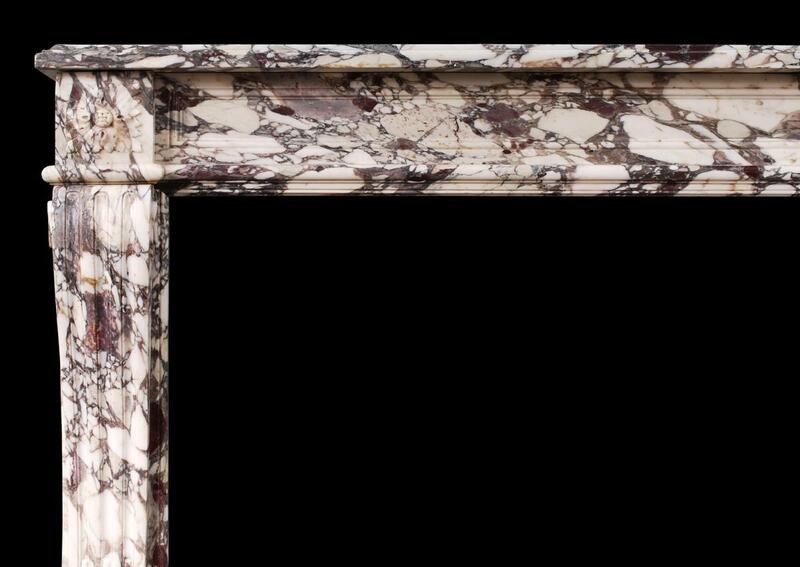 The shaped, stop-fluted jambs surmounted by carved square paterae, panelled frieze and moulded shelf. Circa 1840. 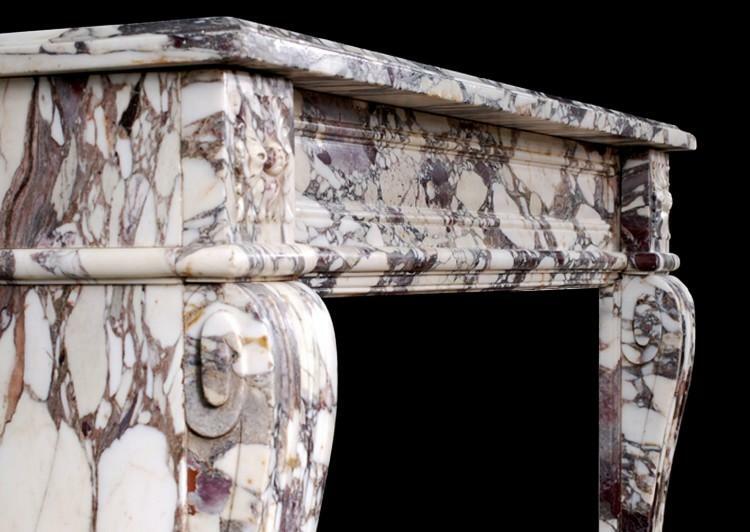 Very fine marble.